In this video I talk about "stability" as a factor of good web governance. Stability means you that you don't have to worry about things like too little authority, inadequate manpower, bad processes or simply stepping on a colleague's toes. Rather, you have everything you need configured in the right way, so that your web people can just get on with things and focus on pursuing online goals. In my online Masterclass for Web Managers, stability is the number 1 measure of success for web governance that I keep coming back to. It really what good web governance is all about. No perfectly written online standards or beautifully crafted organisational chart can be a substitute. None of those things matter if they don't work or are routinely ignored. In that sense we need to constantly remind ourselves that web governance is not an end in itself, it is a means to an end. Good web governance is simply the system we use to manage digital in a controlled and orderly way in order to create stability. Web operations in way too many organisations are under intense pressure. The cause is a huge mismatch between the burden placed on web teams (including publishing volumes, customer engagement, platform management) and the size and sophistication of the resources and supports available to them (principally, manpower, skills and tools). In the Masterclass I explored a classic example of what such a mismatch looks like and how to fix it. This is based on the story of a Mom-n-Pop's Diner – a small restaurant that grows into a giant regional chain – and the challenges faced by their web manager "Junior" (Mom-n-Pop's son) as he tries to cope with the huge increase in online activity that results from this growth. Just as often happens in real life, we find out that Junior remains massively under resourced as scale grows. 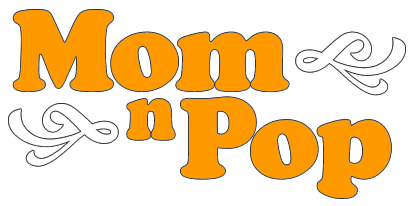 This inevitably this leads to huge instability and ultimately an embarrassing online error which seriously damages Mom-n-Pop's brand and reputation. The second half of the Masterclass explains how Junior and Mom-n-Pop's in general go about recalibrating their web governance (using examples from such world leaders as GOV.uk, Cap Gemini, the Altimeter Group) to create more stable operations based on a properly resourced team and following the 3 broad digital transformation steps of vision, investment and commitment. 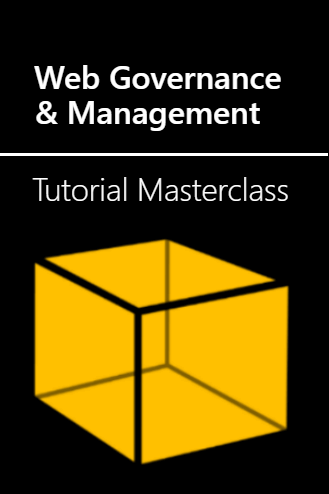 To get the full story of Junior and Mom-n-Pop's web governance transformation, you can explore the Masterclass online. It has 8 lessons in total, 2 of which can be downloaded for free on my website. In a recent web post, I said that I also want to publish some more videos (starting with this one) that expand on the concepts in the Masterclass in a bit more detail. Admittedly, these videos will be a bit more informal than the Masterclass but perhaps usefully can spend more time on individual topics associated with governance transformation. In particular, I want to tackle the key issue that Junior and Mom-n-Pop struggles with. That is how to scale up and improve web governance and management systems at the same time as your website is growing and colleagues are demanding more and more from you online. Is the type of instability that Junior experiences inevitable? Or is it possible to get senior management to buy into the benefits of stable web governance as a worthy investment on its own terms, in the same way as they freely invest in web "redesigns". After all web governance (including properly equipped team with the right skills, processes and tools) is the only that makes sure everything (UX, content, code) will all work together. Indeed, as I argue in my one of my online articles the 4 Megatrends of Web Governance, a central issue of digital is that way too often growth in online scale has not been balanced by a corresponding growth in resources. The result is that web teams have to cut corners in an effort to get things done and which leads to a fall quality, an increase in uncertainty and often embarrassing errors. Over the coming videos, I'll build on the story of Mom-n-Pop's diner and explore in extra detail how Junior can improve his web governance systems as online grows in size, complexity and levels of engagement. If you are new to my analysis of web governance or have not yet explored the masterclass, it may be worth familiarising yourself first my Web Governance Framework. This Web Governance Framework is the conceptual model I use help put order on the many activities and resources of online operations and as a means for making predictions about the types of governance an online presence needs. However, if you don't get to do that don't worry too much. In the next video I'll give a brief summary of the concepts involved and show how you can use them to a stable management system - whether you are a 1 man web team or part of a giant digital operation. Following that, we'll explore the challenges in involved in growing the scale of your online operations and sketch out the 3 factors of success you need to be mindful of.